Saddleback ready to ski again! The final deal closing is expected later this summer. Interesting mix of old and new, local and “from away” - As Majella CEO Sebastian Monsour said at the press conference “As you can see, I am truly from away. There are few places that are further from here than Australia.” How true this is. I went to Australia once. I left on a Wednesday afternoon and landed in Sydney on Friday morning with Thursday mysteriously vaporizing. However, Fred LaMontage who has long ties with the city of Portland along with former Saddleback finance director Greg Andrews and Rangeley real estate developer Perry Williams will be part of the new management team. And in my opinion in a very strong move Jim Quimby will come back as the on-mountain manager. I always thought the on-hill operations was run very well under Jim’s leadership and it is great to see him stay on with the new ownership group. I am sure we will some some familiar and new faces as the team rounds out. It is a good mix of old and new to bring Saddleback to the next chapter. Be open to change - Mr. Monsour said at the press conference. 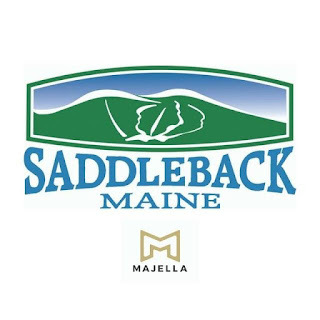 “So we are making this commitment to you today that not only will we be turning Saddleback into the premier ski resort in North America, but also into a four-season resort that we know and all think it deserves to be.” This is a big statement. It will require capital and change. It will be interesting to see how the new ownership group will move forward on this goal. One of the reasons I loved Saddleback, affordable with rarely any significant lift lines and trails all to myself, is exactly the reason why it did not work as a business model. They need more skiers and more revenue... period. And to do that they need more entertainment, recreational and lodging offerings at the ski area. It is that simple. Us Saddlebacker’s need to be open to change, embrace it and know that without it, we will not be able to enjoy the mountain... and cross our fingers that we can still afford it! 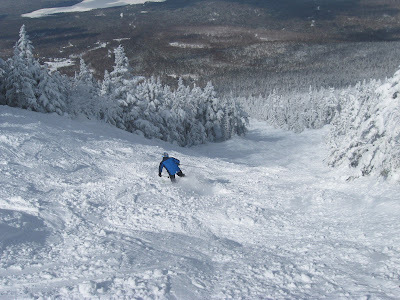 First up - new lifts - They have already started the design process for lifts to replace the Rangeley Double and T-Bar. The Rangeley will be replaced with a fixed gripped quad (think Sugarloaf’s Skyline lift) and the T-Bar will get a new surface lift. Both solid replacements and the owners have decided not to go high-speed detachable. I wonder if some of these older lifts will serve future expansion? Time will tell. Majella is sinking some major money in early… a good sign. And be patient - The new ownership group is basically starting over. They have a mountain that has been shuttered for two years that they have to bring back to life. They have to hire staff, get marketing & the website setup, get food service setup, install two lifts and all that goes with that, get all the business permits, set up an accounting and HR system, get the ski school and rental shops going, interface with the condo associations and local businesses, and on and on and on. They have not committed to an opening date this year and I don’t blame them! As they said in the press conference “When our team has a date that ensures we can deliver to you the skiing experience that all of you deserve, you will know, and it’s as simple as that.” We have to take them at their word. So this is an exciting time. The Saddleback Facebook page has come back to life and they are already engaging with their customers. There are a million questions that everyone has, their press release and FAQ answers a lot of them, but more questions and answers to come. It won’t be a perfect roll out, they admit as much, but they seem ready to dive in to make things happen and learn from their mistakes. I am very glad the people and businesses of Rangeley will have more places to work and more visitors to fill up the restaurants and lodging establishments. The @MaineSkiFamily crew sincerely welcomes Majella group to Maine. We wish them all the best and we are looking forward to skiing our favorite Saddleback trails again when the time is right.